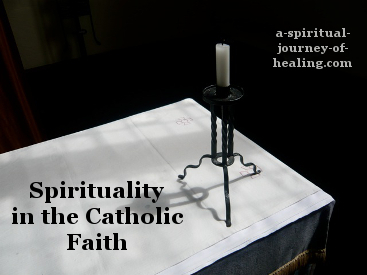 My spirituality has been and is explored both outside and within Catholic spirituality. I resist labels but you could say I am an interfaith Catholic Christian (as well as a student of ACIM). It has been part of my return to being a Catholic to come across inspiring Catholics who speak of God's love and spirituality in a way that helps me to better hear God's voice. On this page I share news of a couple of such people. Continue reading below, or first read a list of other relevant articles on this website. A list of prayers on this spirituality website including famous catholic prayers. An article on how I combine spirituality and religion. My spirituality definitition. My religion definition. Father Christopher Jameson featured in a wonderful series of three TV programs on BBC2 (a UK television station), called The Big Silence. Through the series, Father Jameson helps 5 non-Christian people who want to find deeper meaning in their life prepare for and learn from 8 days of silent retreat. “Silence is the gateway to the soul. All 5 participants are climbing the walls in first few days. If they hadn’t made the commitment, they would have given up or left. All pass through and have an experience of profound Love which they call by different names. One hears a loving feminine voice. Many pass through feelings of grief over the death of loved ones, or guilt about things they have done. Watching the programs allowed me to value even more deeply the silence in my own life. “The magnificence of the universe has dawned in me. Fr Christopher truly demonstrates inspiring Catholic spirituality. If you want to look him up, he has written books. This morning I heard the above spirituality quote by Anthony de Mello. On looking in the search engine, I was delighted to find out that he is a jesuit priest who drew on knowledge from many religions - especially Buddhism. Although he is a Catholic, his work is not seen as representing Catholic doctrine. Nonetheless it is enjoyed by many Catholics, along with those of other faiths and none. He looks like a jolly fellow! Owner of the zazzle HealingStore for delightful customized gifts. 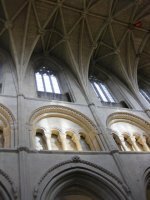 One of the joys of running this spiritual website is that I can link to other useful resources that provide spiritual sustenance, in the hope that they will also be of spiritual sustenance to you. Recently I had the joy of going to a catholic church for mass whilst I was on holiday in Wales. The bulletin included advice from Prego on how to interpret the Sunday readings and use them prayerfully to press into God. By the way the Sunday readings are the same in both the Catholic and Anglican church, although they may be a week out of sync. 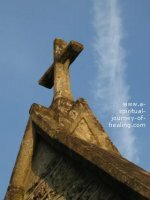 Move to read about a selection of articles linked to from the Spiritual Blog.